When you hear the word “trademark” you probably think of McDonald’s golden arches or Nike’s swoosh! Logos, however, are just one example of trademarks. You can trademark words, symbols or combinations of the two that make your company’s wares and/or services distinctive. Indeed, you can also trademark a particular way in which you package your goods – such as the shape of the box or the design of a bottle. Trademark registration isn’t strictly necessary to run your business or to protect your distinguishing mark. Using a trademark for a certain period of time establishes your ownership of the trademark through common law and gives you certain trademark rights. 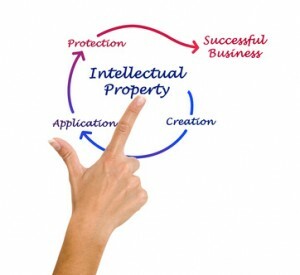 However, these rights are quite limited compared to the rights of a registered trademark owner. If your trademark is not registered, your trademark rights are limited to the geographic area where the trademark has been used, and you will have to prove ownership of your trademark to the court. On the other hand, once you’ve registered your trademark, you will have the exclusive right to use the trademark across Canada for 15 years (renewable for 15 years at a time) and will have the right to initiate infringement proceedings in either the provincial or federal courts (which owners of unregistered trademarks can’t do). Trademark registration is, of course, prima facie evidence of your ownership of the trademark, so if there ever is a dispute about your trademark, the burden of proof is on the challenger. And Canadian trademark registration can be used to claim priority in registering the trademark in foreign countries. The first step in trademark registration is to file an application with the Trade-marks Office. You can file a Trademark Application online through the CIPO (Canadian Intellectual Property Office’s) website. Be aware that while you may file a trademark application based on “use or making-known in Canada, foreign use and application/registration, proposed use in Canada, or any combination thereof”, in most instances your trade-mark must be used in Canada before it can be registered (CIPO). The basic cost of trademark registration is $250 (if submitted on-line) or $300 if submitted in any other way for each trade-mark applied for, which is a non-refundable filing fee. If your trademark application is successful, you will also have to pay $200 for a certificate of registration. These are the basic federal government fees and do not take into account the fees of a trademark agent. Because the trademark application fee is non-refundable, it makes sense to use CIPO’s online Canadian Trademarks Database yourself first to see if there are other similar trademarks that might conflict with the one you want to register. Once the Trade-marks Office receives your trademark application, your application receives a filing date, and an application number from the Trade-marks Office, which then proceeds with a five-step examination process. You will receive a formal filing acknowledgement at this stage. 1. Searches the trademarks records to find any other trade-mark that may come into conflict with the one you’ve submitted. If one is found, you will be informed. 2. Examines your trademark application to ensure that it complies with the requirements of the Trade-marks Act and Regulations and informs you of requirements which are not met by the application. 3. Publishes the application in the Trade-marks Journal, which is issued every Wednesday. 4. Allows time for opposition (challenges) to the application. Anyone may, upon payment of $750, file a statement of opposition with the Registrar. If there is opposition, the Registrar of the Trade-marks Office will consider the evidence filed by either or both parties, and decide whether or not to refuse your trademark application. In such a case, both parties are notified of the decision and reasons why. 5. Assuming there is no opposition to your trademark application, the mark is allowed. Upon payment of the $200 registration fee and the filing of a declaration of use in the case of a proposed use trademark application, your mark is registered and you will be issued a trademark registration certificate. Note that trademark registration through the Trade-marks Office only protects your trademark rights in Canada. If you are selling wares or services in other countries, CIPO advises that you should register your trademark in each of those countries as well. As you would guess from what you’ve read here, trademark registration can be a long process. In most cases, at least a year may elapse from the day the application is first filed until the day the registration certificate is issued. You don’t have to wait until your trademark is registered to use it, though, and the rights granted by trademark registration are so much more powerful than those of unregistered trademark owners that trademark registration is definitely worth it.